One of the questions we get asked the most here at Prim & Prep is how to grow a thick, attractive beard. 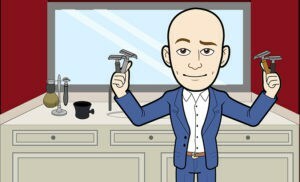 One of the next questions we get asked, usually a few months later, is how to straighten beard hair. Now, we love getting your questions, so keep them coming. Secondly, we love answering them too, and this is an article we’ve planned for a while. So that is exactly what we’re going to do here. 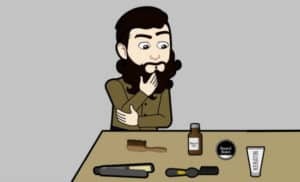 We’ll look at all of the different methods to straighten your beard, talk you through the steps, the pros and the cons of each one, and help you decide which one is best for you and your beard. You remember we said that we’ve been planning this article for a while? Come on, we just said it twenty seconds ago, keep up. Well that’s because when we were researching our article on the best products to straighten a beard, we found there was a huge array of them out there. 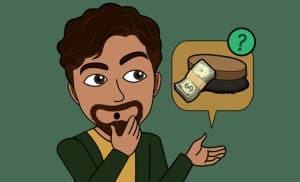 Companies don’t make products where there is no demand for them. 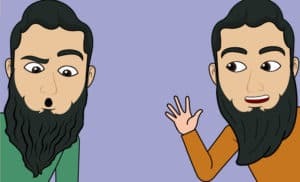 Add that to out bulging inbox packed with repetitions on the theme of “how to straighten a beard” questions, and we know this is something a lot of people are looking for. Loads of men, the vast, vast majority in fact, have naturally curly beards. And whilst many women these days like a beard on their man, they are also quite picky in what they want to see. 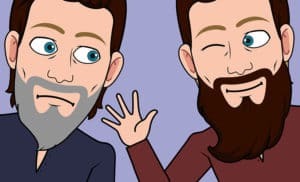 Now we would never tell anyone what to do with their beard or that it doesn’t look great. It’s your beard, if you like it, then we like it. It really does seem though that the fashion right now does seem to be more for straight beards. Which, we feel, is why so many guys are asking for advice on this issue. 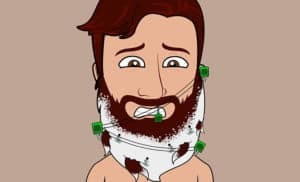 So instead of continuing to pretend we’re still cool 19 year olds (when in truth we actually have socks that are older than that), lets kick this off and get straight into our comprehensive guide to beard straightening. 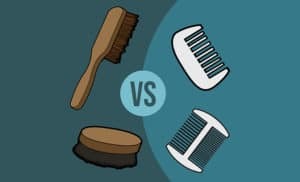 On our journey to a straight beard, whilst there are many weapons that we may choose, no matter which one we go for, we all start the journey in the same place – the bathroom. That is because no matter what method you plan to use to straighten your beard, it needs to be cleaned before you do anything else. And by fire it up we mean turn it on – and remember, warm water only. A long, hot shower can actually be real bad for your skin, especially the skin beneath your beard. Irritate that skin and you can end up with the dreaded beard itch, so keep the water temperature down. Squeeze out a portion of your favorite beard shampoo and work that baby into your beard. We mean really work it in, especially if you have a longer beard. Use your fingertips to get it right down to the skin and the base of your beard hairs. Rinse thoroughly (do we really need to add with clean water?) then condition if you like. Remember to dab your beard dry with a clean towel, don’t rub it. That’s all folks. Just a simple but effective regime to ensure that your beard is clean and healthy – and just as importantly ready to be straitened. Yep, as we alluded to above and mentioned in our previous article, there are a wide range of tools and products out there to help you to straighten your beard. Many people ask us which is the best method or tool or product to use. We won’t tell you which is the best one. Not because we’re mean, but because we don’t know. Or rather, we don’t know which is the best method or tool or product that will work best for you specifically. 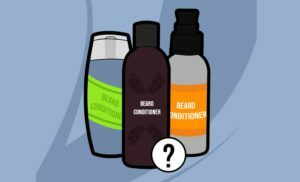 In this section there lies three doors, behind each one is the method on how to use each tool or product to straighten your beard. 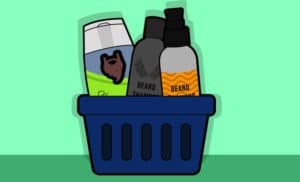 We suggest you look at how each one works, cross reference it with our awesome product reviews, and work out which one is best for you and your beard. The first method is tried and trusted on our behalf by near enough all the women in our lives – thanks gang! We’re talking about using heat. Heat is an effective way to straighten hair because all hair strands contain a protein called keratin. When heat is applied to keratin, the hydrogen bonds within the chemical makeup of the protein are broken. This in turn makes the hair more pliable and easier to manipulate. Science huh? Who knew it actually had any practical uses? Anyway, because heat is so effective at performing this task, there are a huge range of heating tools. 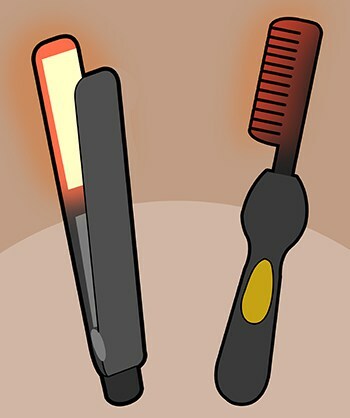 They often use ceramic plates but can also look like normal brushes or combs, but with a heating element too. 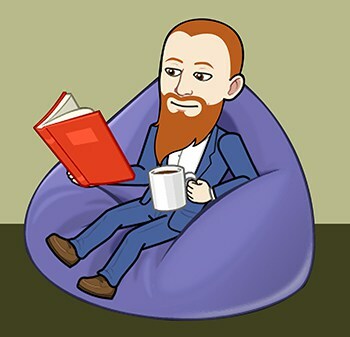 1) You need to work by section instead of tackling the whole beard. Start by puling small sections or strips of beard from out of the tangle and running them through the ceramic plates of the straightener, brush or comb. 2) Always work pulling away from your face. 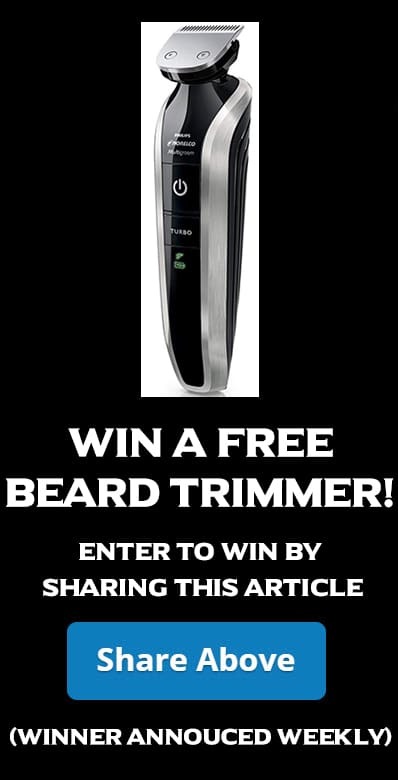 In other words, get the tool as close to the base of the beard as you can. Be careful not to actually burn your face though. 3) Work through the small sections until they all straight, pulling downwards on each stroke with enough force to affect the beard. Go slowly enough that the heat can do its work, but not so slowly that your hair burns. It can take a bit of experimentation here, so always start off with the temperature at its lowest setting. 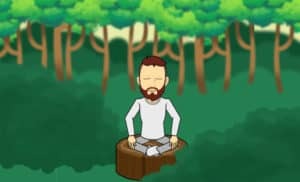 Feel free to use bigger sections of beard towards the end when most of the work is done. The downside to this method is that it can be pretty slow and tedious. The upside is that it is extremely effective! Or use the forks, it’s up to you. No wait, don’t use a fork, that’s crazy. Instead, you can use a quality beard brushor a comb for a simpler, low-tech way to tame and straighten your unruly face bush. The tools themselves are simple, and the method is pretty easy too. 1) First of all, this is something that is best performed after you step out the shower. That’s because if you plan on using force, i.e. a brush and/or comb, it will work best on damp hair. If you’re doing this on a dry beard, we suggest you dampen it down a little. 2) Get your hands on your brush/comb as a minimum. A hairdryer and some beard oil will also be required. 3) Start off by applying a little beard oil, this is going to help lock in the moisture and keep your beard looking great after you’ve done. 4) Next turn on the hairdryer, but leave it blowing cold air only. Hot air is going to dry out your beard and make it feel like wire wool. Using the hairdryer, start by blowing up through your beard, toward your face. 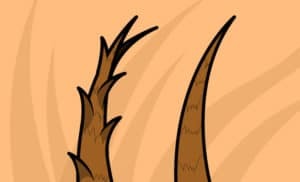 Comb or brush your hair upwards at the same time. Yes, you will look ridiculous. 5) The whole point of this upward blast of air combined with the combing or brushing action is to straighten all the hairs in your beard. By this stage, they will all be nice and straight – but will be sticking straight outwards from your face. Now is the time to style, so simply reverse everything. Hold the hairdryer so it is blowing down and comb or brush your beard down so it looks like… well so it looks like a beard. Except now it will be nice and straight. The good thing with this method is that it is extremely easy, and requires little in the way of special tools. The downside is it may not be as effective with longer beards, and the results may not last too long. Ok, not actual “you’re a wizard, Harry” magic because, sorry to tell you guys organizing real life Quiddith tournaments on BMX Bikes, magic isn’t real you losers. (Besides, have you seen Hagrid’s beard? Guy needs to magic himself up some anti-frizz balm ASAP). Moving on, very swiftly what we’re talking about here are products that promise a straight beard without all the effort of the two methods we talked about above. At the milder end of the magic product list we have things like beard balms and beard jelly (basically thicker beard oils). 1) Wash beard as above. 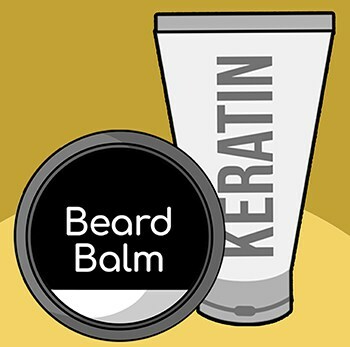 2) Apply balm or jelly to beard and smooth down. These products work in a very similar way to using products like putty, gel or styling creams on your head hair. They are thick and viscous and will dry in place and hold your beard in the style you’ve moved it into. Then there are hair treatments designed to offer long term, or at least semi-permanent, solutions. 1) Always apply to clean and damp beard hair. 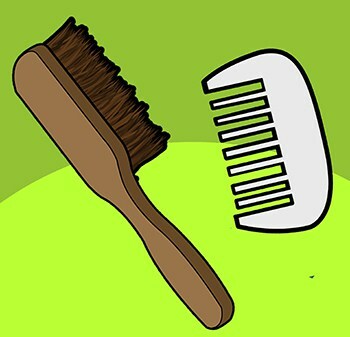 2) Work the product through the length of the hair, from root to tip, with a fine-tooth comb. 3) Leave the product to work it’s magic for the time indicated on the packet. During this time it can be helpful to comb the hair straight again every five minutes or so. This is especially helpful with shorter to medium length beards, whose hairs can tend to curl up again if left unattended. 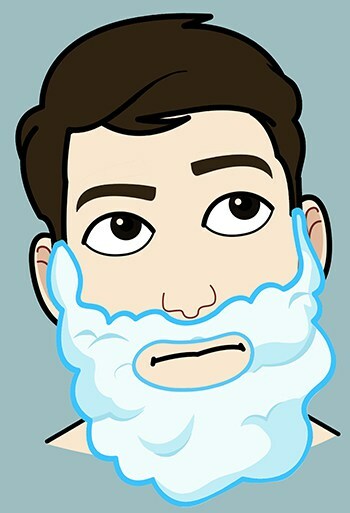 4) Rinse it, dry it and comb or brush the beard flat again. 5) For longer lasting results, you can now apply a heat treatment such as a heated comb or ceramic straightener plates to really make sure all the hairs are straight and the beard is exactly how you want it to be. The benefits with balms and jellies are that they are about the simplest ways to straighten a beard. The downside is that it can be hard to conceal the fact you have product in your beard, losing that natural look that many men prize. 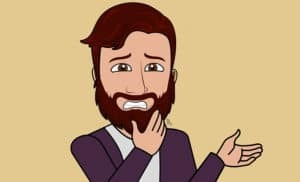 Beard straightening cream is great as a semi-permanent solution, and you may only have to do it every couple of months or so. 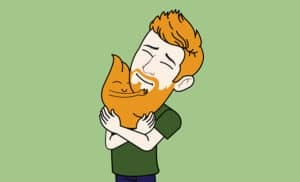 The downside is that it is very hard to tell what damage could be done to your beard overtime by the concentration of often harsh chemicals found in some creams. 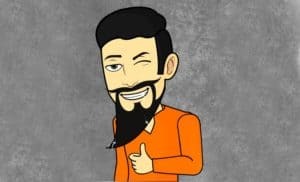 There you go, that’s it – the method behind using the three most common ways to straighten a beard. Like we said above, we have no idea which method will be most suitable for you, because so many variables go into that suggestion. Still, what we do know is that each method can be extremely effective in its own right. It’s actually more a case of finding which one works best for you, and also which one you’ll be happy doing most often. We would suggest tying the above methods up with the different productsthey go with and see which one takes your interest. 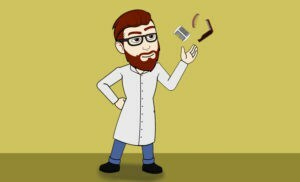 Experiment if you like, try different tools and products – its your beard after all, you may have it for quite some time so it does make sense to invest a little time in finding what method works best for it. It will all be worth it in the end, we promise. Whichever method or tool you go for, we wish you the best of luck with your healthy – and straight – beard!